With the help of new friends and the magic of her special spheres, Evy must save the land. 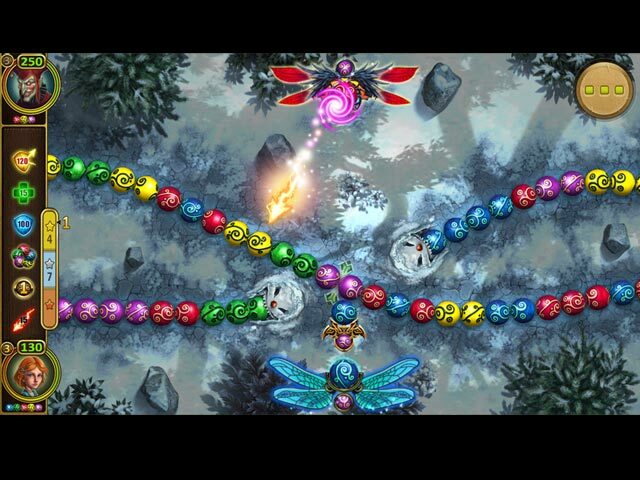 Match three or more spheres in endlessly-shifting chains to unlock her powers and defeat these vile creatures in Marble Duel! 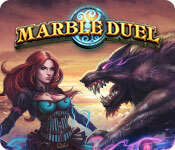 Marble Duel is rated 4.1 out of 5 by 53. Rated 5 out of 5 by melissa845 from A Great Game to play over again as Skills increase I got Evy for the first time as a beginner and was able to get through many levels but not all the way through I am now playing it again as an intermediate. Game is essentially a fighting game but it is very clear what it takes to win. Story line was interesting to me except at the very beginning To me in these kinds of games what counts is "The Game", not the story. Great game. Rated 5 out of 5 by kz33am from It couldn't be ANY better! This is the most wonderful game I have ever played. It's almost like the computer you're playing against has a mind of it's own and it feels like you're playing against a real person! The music is sensational. The way the game changes means it never gets boring. We need more games like this! I hope they make an Evy: Magic Spheres 2! Rated 5 out of 5 by meckert88 from Great and addicting Just love this game. Wish it were longer. Very challenging would highly recommend it. Would love to see a sequel. Rated 5 out of 5 by torga from It's Magic This is one of the best match games around, keep looking for more like it, but, they don't show up. Have played this game several times and it doesn't get old, would love to have more like it. Makes one think a little. It's just a perfect, awesome game. Rated 5 out of 5 by BSav from Gorgeous, Challenging Game This game is beautifully rendered with some kooky characters. It takes awhile to get the gist of the game, but it's well worth your time. A few of the characters may be a bit scary for small children. Rated 5 out of 5 by oz1959 from Marble Popper with a strategy factor! Loved this game! This is not just a run of the mill Marble Popper. You actually play against different opponents. Each marble has different capabilities that you will use as you plan your moves. 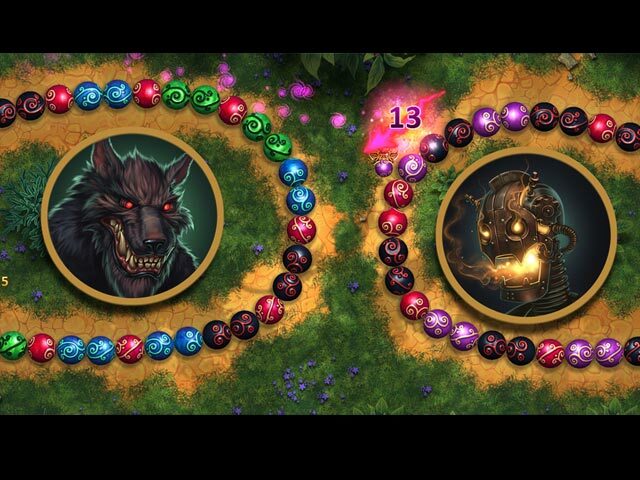 Each opponent will have different strengths and weaknesses that you will need to consider. It starts fairly easily and the difficulty progresses as you advance. I would love to see more games like this!! Rated 5 out of 5 by abbyismyfurbaby from Thinky, not clicky Need strategy to win. Opponents get progressively smarter but you can buy powerups. Bought it before trial was up. Rated 5 out of 5 by kosta1 from Kosta Lots of fun for me! Love the graphic design. 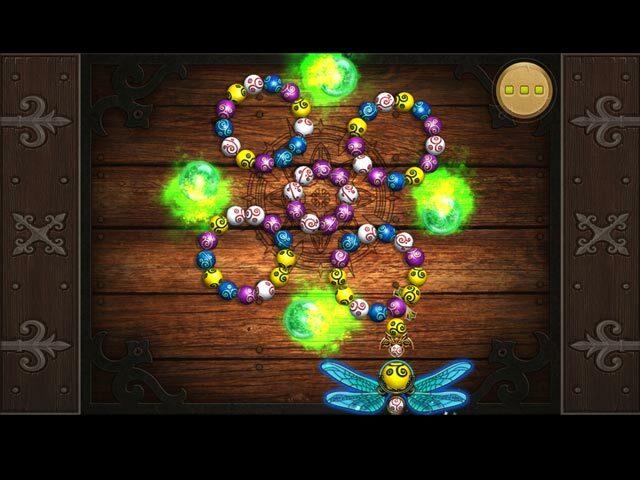 Rated 5 out of 5 by nanajl59 from Finally A New Marble Popper Game! Most of the time I at least try the hour trials of the new releases even if they are not something I usually enjoy, so I was very pleasantly surprised when I tried this game and didn't want to stop! I really enjoyed the art work and story line and loved that there was no time limit and you were expected to use your brain and strategy. Bought it on the spot and haven't regretted it! Great job, hope there is a sequel! Rated 5 out of 5 by PeterGreco from So fun marble popper!!! This is not the most popular genre of late, but I was pleased to play. Tons of fun! I recommend it! Try and you'll buy it!